Looking for a USED DYNATURN 13RM/5000? has been specialized in machine tools and focused only on one way for the development of machine industries and localization of machine tools in korea for 33 years since its foundation in 1969. we have been concentrating our effort on localizing big & heavy duty lathes especially from the beginning step of our independent development, therefore we have been nominally and virtually playing a leading role in this field in korea. 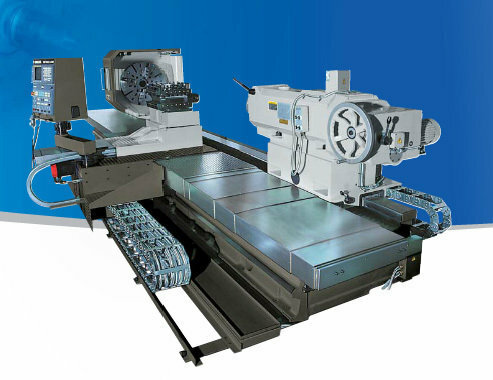 we are specialized in cnc horizontal lathe, cnc vertical lathe, cnc roll lathe, semi-cnc lathe, conventional lathe and machining center and all of these goods are produced after ordering under the various sort and small production system. 267 ModelsView more about Hankook Machine Tools Co., Ltd. Looking to Purchase a New HANKOOK DYNATURN 13RM/5000? Chandler Automation and Machinery, Inc.
DMS CNC Makina San. ve Tic. Ltd. Sti. Hankook Machine Tools Co., Ltd.